Special in-person sessions are occasionally available on a pre-approval basis only. (If you are wondering why that is, please see the note from Psychic Cynthia below.) Because the in-person sessions take significantly longer to do (just due to the nature of the added time spent visiting), an additional $50 fee will apply. Also, please be prepared to be patient & flexible regarding scheduling when requesting an in-person session, as there are usually only 1 or 2 slots MAX open each week on a first-come, first serve basis for in-person sessions. First, complete the "In-Person Reading Request Form" on this page below. Please make sure that you provide all of the information that is asked for, including when you can be available for your reading and the part about the reason WHY you are hoping to have an in-person reading with Rev. Dr. Cynthia and what you hope to come out of the reading. Once you have completed the in-person reading request form (and it shouldn't take long), make sure you hit "submit". If your reading request form has gone through, you should imediately be taken to a "confirmation page". That is a good sign. Once you have completed & submitted your "In-Person Reading Request Form", please give Rev. Dr. Cynthia and her team 1-3 business days to look it over (that is *business* days, which means if you apply on a weekend or a holiday, you should add a couple of more days to that). If Psychic Cynthia is able to do an in-person reading for you at this time, and if it looks like you are a good candidate for an in-person reading, she (or a member of her team) will write you back within 1-3 business days and let you know. At that time, you will be offered some possible appointment times in the near future. If you have questions about registering/apply for an in-person reading, please e-mail info@cynthiakillion.com. (Please put something like "need help registering for reading" in subject line). To request an in-person speciality Guiding Star Psychic Astrology Reading session with Rev. Dr. Cynthia, please complete & submit the "In-Person Reading Request Form" below. PLEASE NOTE: A reading is NOT a substitute for medical, psychological, legal, financial, or any other kind of professional treatment or advice. The readings that Rev. Dr. Cynthia Killion does for you can offer you spiritual advice and guidance, and are not intended to substitute for any other kind of professional guidance. It is your constitutional right to use the information you receive in a reading in the way that empowers yourself and improves your life. However, remember that you, and you alone, are responsible for any actions you may take as a result of what you hear in a reading. Rev. Dr. Cynthia (and her heirs and associates) cannot accept responsibility for your actions. For this reason, Rev. Dr. Cynthia encourages to use your god-given intellect & common sense when interpreting what you experience in a reading. In the box below, please type your birth info that we will be using to do the astrology charts with. Usually, this will be your OWN birth info. However, if you are wanting to have a relationship reading, you can include your partner's info as well. Or, if you are a parent requesting a Life Program reading for your child, then please put your child's name & birth info below. First time or Returning...Please click on the option that best describes you below. This will be my first reading with Cynthia ever I have had a reading with Cynthia at least once before. Please click on the appropriate selection below to indicate whether you are in agreement with these conditions/criteria for an in-person visit with Rev. Dr. Cynthia. Yes, I understand, and can meet the above terms for an in-person session. No, I do not understand, or I cannot meet the above criteria for an in-person session. Before agreeing to read for you in her home, Rev. Dr. Cynthia would like to know a bit about why you are wanting this reading or what you are hoping to get out of this reading. It would be a good idea here to mention exactly WHICH one of the guiding star readings you are hoping to have. Also, if there is anything about yourself that you feel you should share with Dr. Cynthia as part of this consideration process, please feel free to include that as well here. PLEASE TYPE YOUR RESPONSE IN THE BOX BELOW. (This part does not have to be lengthy, but we do ask that you at least share *something* here....this will assist Rev. Dr. Cynthia & her team in determing whether a special in-person session is a good fit for you or not). In order to have a special in-person reading with Psychic Cynthia, you will need to be able to come for your reading during the times that she has open for this, which are all in the DAY time, Monday through Saturday. Is this something that can work for you & your schedule? If so, please let us know which days of the week and what times in the morning or afternoon on those days that you could most likely be available for your reading--you can type this info in the box below. Please Note: Monday through Saturday only please. (Cynthia does not do readings on Sundays, no exceptions.) If you would like to inquire about availability for a specific date or time, please mention this below too. Keep in mind that if approved for an in-person session, these sessions usually last at least between 1 1/2 to 2 hours time. Yes, I am able to pay the in-person reading fee. Not sure if I will be able to pay the reading fee. 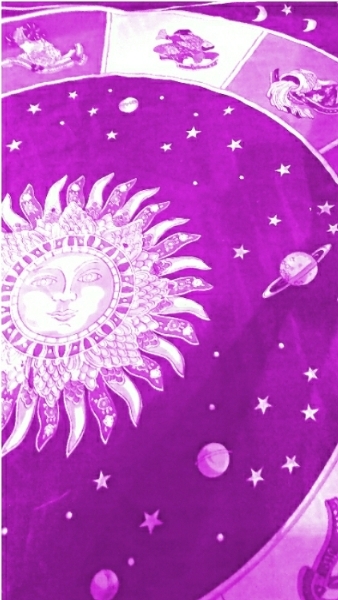 If you are approved for an IN-PERSON Guiding Reading Psychic Astrology Reading with Rev. Dr. Cynthia, we will be contacting you soon to set up your reading. If so, what is the best way to contact you to schedule your reading? Once you hit "submit", and your reservation form goes through, you should automatically be taken to the "request confirmation page". Also, although I don't mind having someone over for a reading whom I already know or whom I have already worked with several times before on the phone, I'm not too keen on inviting perfect strangers into my home for a reading. In this regards, I'm not that much different than most people, as most people I know aren't too eager to invite complete strangers into their home for a visit. Before inviting someone into my home for a reading, I usually prefer to know them already, or at least know someone else who knows them, OR at least read for them one time on the telephone FIRST so I can get to know them a little bit better. Really, this is for the benefit of BOTH of us, as I am pretty sure that YOU TOO would feel much more at ease visiting with me in my home if we already knew each other, at least a little bit. That being said, occassionally (and rarely), I do make an exception and grant an in-person reading request for someone that I have never read for or met before. I don't do this very often at all (usually only a few times a year). But if for some reason you are a brand new client who really has your heart set on the in-person reading experience, I will take that into consideration.